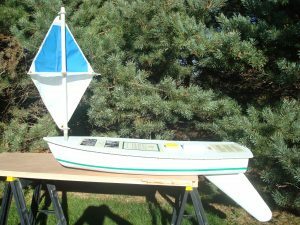 This is our longest continuously sailing boat. She quickly sailed to the south east of the Azores and circled around the Sargosso Sea for a year or more. Stopped reporting Feb. 2016 after 1167 days at sea! This boat belongs to 5 school districts in southern Maine. She was set out on a private vessel with two other boats from New Jersey by Joe Robillard off the coast of South Carolina on December 1, 2012. By the end of December the “Mini Maine” was making very good time and was all ready northeast of Bermuda heading toward Europe.